Dr. Chandra P. Sharma was Senior Scientist G and Head, Biomedical Technology Wing, Sree Chitra Tirunal Institute for Medical Sciences & Technology Trivandrum and has been Head, Biosurface Technology Division, SCTIMST Thiruvananthapuram from January 1980 to February 2014. He has been Associate Head, Biomedical Technology Wing, and Associate Dean, PhD Affairs, SCTIMST Thiruvananthapuram. He is presently Adjunct Professor, Department of Pharmaceutical Biotechnology, Manipal College of Pharmaceutical Sciences, Manipal University and Hon. Emeritus Professor, CBEAS, Purbanchal University, Nepal. He is basically a Solid State Physicist from IIT Delhi and received his training in Biomaterials area in the University of Utah (USA) with Prof. D.J. Lyman as a graduate student and in the University of Liverpool, England with Prof. D.F. Williams as a Post Doctoral Research Associate. Dr. Sharma has been awarded FBSE by The International Union of Societies for Biomaterials Science & Engineering (IUS-BSE) in 2008 and FBAO (Fellow Biomaterials and Artificial Organs) by Society for Biomaterials & Artificial Organs (India) in 2011. He was also British Council Scholar/Research Fellow at Institute of Medical and Dental Bioengineering, University of Liverpool, UK during June 1989 to September 1989 under Indo-UK Programme, British High Commission, New Delhi. Dr. Sharma has published over 370 research papers with over 5000 citations (Scopus) and has processed 38 patents including in Canada, European Union, Japan and USA. He has edited several special issues of International Journals as a guest editor and a book with Dr. Michael Szycher on Blood Compatible Materials and Devices with Technomic Publishing Company - 1991. He is also editor of the book "Biointegration of Medical Implant Materials: Science and Design" with CRC Press/Woodhead Publishing Limited, 2010, Update on Chitosan: A Non-Viral Gene Delivery Vector" with Dr. Viola B Morris - Smithers Rapra, 2012 and "Oral Delivery of Insulin" with Dr. Sonia TA - Woodhead Publishing, 2014. 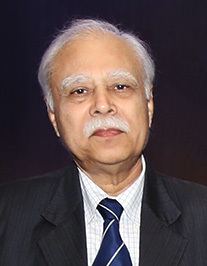 He has been recognized with various awards and honors such as MRSI medal (1994) and MRSI-ICSC Superconductivity & Materials Science Annual Prize Award 2009 - Materials Research Society of India, Distinguished Scientist award - Society for Biomaterials and Artificial Organs, India (SBAOI) and shares Whitaker and National Science Foundation Award - International Society for Artificial Organs (ISAO) USA and Hall of Honors - International Biomaterials Center, USA (Founder Prof. C. William Hall). He has delivered many key note addresses, plenary lectures, invited lectures, IUS-BSE lecture and chaired sessions in National and International conferences including World Biomaterials Congresses and TERMIS World Congresses. Dr. Sharma also chaired and organized a symposium in the 7th World Biomaterials Congress, Sydney, Australia, May 17-21, 2004 on “The Scientific Basis for Biocompatibility and Biological Safety” for SBAOI with a keynote address of Prof. D.F. Williams. He has organized the Indo-Australian Conference on “Biomaterials, Implantable Devices and Tissue Engineering” (BITE 2005) as a Co-Chair with Dr Ramshaw, 2nd Indo-Australian Conference on “Biomaterials, Implants, Tissue Engineering and Regenerative Medicine” (BITE&RM 2007) as a Co-chair with Prof. C. Rolfe Howlett at Sree Chitra Tirunal Institute for Medical Sciences & Technology (SCTIMST), Trivandrum on January 19-21, 2005 and January 10-12, 2007 respectively. He has been the Co-chair of the 3rd Indo-Australian Conference with Prof. Laura Poole-Warren at University of New South Wales in Sydney, Australia on January 21-23, 2009. He has also been the Co-chair of the 4th Indo-Australian Conference, 25th Aniversary celebration of SBAOI and 4th General Meeting of STERMI with a theme "Innovations in Biomaterials, Tissue Engineering and Drug Delivery Systems" along with Prof. Harish Padh, L.M. Manocha and Prof. Zee Upton held at Sardar Patel University, Ahmedabad on February 10-12, 2011. He was the Co-Ordinator of the Workshop organised by Prof. David F Williams, Editor-in-Chief, Biomaterials during March 16-17, 2011 at SCTIMSt with a theme "New Visions for Biomaterials and Regenerative Medicine". He has organized the 19th Annual General Meeting of MRSI with a symposium on “Materials for Hostile Environments” during February 14-16, 2008 as a Co-Chair with Dr. G.S. Bhuvaneshwar at SCTIMST. Dr Sharma chaired and organized a symposium on “Diabetes Technologies” for SCTIMST with a key note address of Prof. N.A. Peppas in the World Biomaterials Congress, Amsterdam, The Netherlands, May 28-June1, 2008. Dr. Sharma also organized two symposia on “Nonviral gene delivery vectors: challenges and future perspectives” and “Tissue engineering applications in wound healing: challenges and future perspectives” during the 9th World Biomaterials Congress held at Chengdu, China from June 1- 2012. Dr. Sharma was WBC Ambassador 2012 in Chengdu China. Dr. Sharma chaired a session entitled "Biomaterials and Biocompatibility" and organized a symposia entitled "Tissue Engineering and Implants: Role of Biocompatibility" (with a keynote by Prof. D.F. Williams) during the TERMIS AP 2013 Annual Conference (Oct 23-26, 2013) held at Wuzhen, China. Dr. Sharma was also Co-Chair of the first three national conferences of SBAOI (1987-89). He has also delivered invited/special lectures in various Universities such as Columbia University (USA), Kansas State University (USA), Nanyang Technical University, Singapore and Philipps University, Marburg, Germany (under DST-DAAD programme). His staff and students have received several awards like Institute Award for best scientific contributions SCTIMST (Chandy T., 1989), Whittaker Foundation and National Science Foundation Student paper Award (Sindhu CV, 1997), “Bajpai-Saha” award for the best paper presentation, SBAOI (Sindhu CV - 1996, Shefi Angel - . Dileep KJ - 1998), MRSI Best poster presentation award (Sunny MC - 1994, Paul W. -1996 & 1998), Best oral presentation award, MACRO 2004 (Kaladhar K, 2004), Elsevier Travel Award (Viola M. - 2008, Soniya TA - 2008), Rudolf Cimdins Scholarship (Viola M., 2009), AAPS International Affairs Committee Travel Award (Sonia TA 2010), SBAOI Best Oral Presentaion Award (Paul W. and Susan Alex 2012) etc. Paul W. was awarded with FBAO (Fellow - Biomaterials and Artificial Organs) by Society for Biomaterials and Artificial Organs (India) in 2011. Dr. Sunita Prem Victor was awarded the Innovative Young Biotechnologist Award (IYBA), DBT New Delhi in 2014. Dr. Sharma is member of editorial board of several international journals and many national and international societies and reviewer of reputed journals such as Molecular Pharmaceutics, Langmuir, Biomacromolecules and Biomaterials etc. He is listed in MARQUIS WHO'S WHO, Reed Elsevier Inc., NJ. He has also been chosen as the International Man of the Millennium by IBC Cambridge, England. He is the founder of the Society for Biomaterials and Artificial Organs, India (SBAOI) and the Society for Tissue Engineeering and Regenerative Medicine, India (STERMI). He is the founder editor - Trends in Biomaterials and Artificial Organs - a journal published by SBAOI. He has been the member of IUSBSE since 2003 and observer member since 1996 and has represented SBAOI as Ambassador in the WBC 2004 - Sydney and WBC 2008 - Amsterdam. He is also the council member of TERMIS-AP, 2005-08, 2008-10. He has also been President SPSI, Trivandrum Chapter and Convener MRSI, Trivandrum Chapter, India. The projects ongoing and completed by his group relate to the development of Small Diameter Vascular Graft, Hemoperfusion Column, Artificial Wound Dressing Materials - Transdermal Delivery system, Synthesis of Hydroxyapatite, development of nanoparticles and its uses towards drug (peptide) delivery systems and coatings to enhance tissue compatibility of implants, Hemodialysis membranes, improvement of Bioprosthetic Heart valve via surface modifications, and Oral Insulin Delivery Systems (under NMITLI, CSIR, New Delhi) using pH sensitive microspheres/nanoparticles loaded with liposome/ b-cyclodextrin derivatives/ lipids encapsulated insulin. Basic activities also relate understanding of blood/tissue-material interactions at the interface. In case of chitosan, an encouraging wound healing material, Dr. Sharma's group has studied for the first time during 1990s that its haemostatic potential is independent of classical coagulation cascade and appears to be an interaction between the cell membrane of erythtocytes and chitosan. His laboratory has completed prestigious programmes under NMITLI-CSIR New Delhi on oral delivery of insulin and has been awarded the FADDS project (Facilities for Micro/Nanoparticles based Advanced Drug Delivery Systems) under Drugs and Pharmaceuticals Research Programme, Department of Science & Technology, New Delhi, with a funding of over US$ 1 million. It is being planned to convert FADDS as a National Facility with a funding of about US$ 3 million.